Best Indian Restaurants en Lanzarote - Best Indian Delivery Restaurants Lanzarote - Best Indian Restaurants with Delivery - Best Indian Restaurants Takeaway - Best Indian Food Delivery Restaurants Lanzarote - Indian Restaurants Lanzarote | Indian Restaurants Playa Blanca | Indian Restaurants Puerto del Carmen | Indian Restaurants Costa Teguise | Indian Restaurants Playa Honda | Indian Restaurants Arrecife | Indian Restaurants Puerto Calero | Indian Restaurants Yaiza| Indian Restaurants Tias | Indian Restaurants San Bartolome | Indian Restaurants Haria | Indian Restaurants Arrieta | Indian Restaurants Playa Honda | Indian Restaurants Tinajo . Chef Special There are 13 products to choose from. Takeaway Lanzarote - Restaurants Playa Blanca Fairly hot and sour with green chilli, fresh herbs and spices. Takeaway Lanzarote - Restaurants Playa Blanca Tikka pieces cooked with mushrooms, ginger, garlic, fresh coriander and white sesame. Takeaway Lanzarote - Restaurants Playa Blanca Boneless pieces of chicken cooked in butterm almond, kastoori methi, tomato and ginger. Takeaway Lanzarote - Restaurants Playa Blanca Chicken fillet pieces in a creamy mild mango sauce. Takeaway Lanzarote - Restaurants Playa Blanca A classic goan specialty made with a spicy blend of coconut and cayenne pepper. Takeaway Lanzarote - Restaurants Playa Blanca Cooked with fresh ginger, garlic, green chilli, coriander in medium to hot sauce. Takeaway Lanzarote - Restaurants Playa Blanca Cooked with fresh garlic, tomato, ginger, coriander, a bit spicy. Takeaway Lanzarote - Restaurants Playa Blanca Hot curry, cooked with chopped pepper, garlic, fresh tomato, ginger and red chilli. Takeaway Lanzarote - Restaurants Playa Blanca Chicken cooked with home made cheese, egg, coriander, garlic, ginger and curry sauce serve with prantha bread (spicy). Takeaway Lanzarote - Restaurants Playa Blanca Chicken cooked with fresh herbs, spices and honey sauce. Takeaway Lanzarote - Restaurants Playa Blanca Lamb cooked with cloves, slice onion, cardmon and fresh herbs. 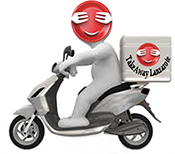 Takeaway Lanzarote - Restaurants Playa Blanca Made with green chilli and red chilli.